they follow me everywhere I travel. Ever meet a fishing snob? I’ve met plenty in my 30 plus years of professional fishing. Most of these people are good enough citizens, they just have a tendency to hate on certain species of fish. The Declaration of Independence says “all men are created equal”. Apparently fish don’t inherit these rights because a lot of fish species get little or no love from anglers. Here in Michigan there are lots of fish species anglers love to talk dirt about. Apparently from what I’m hearing lake trout are too greasy, sheepshead are too bony, carp destroy bass habitat, white perch bite before walleye can get a chance and the list of grievances goes on and on and on. If one fish in particular gets “no respect” as Rodney Dangerfield used to say, it would have to be the lowly channel catfish. With a face only a blind mother could love, the channel cat isn’t going to win any beauty or popularity contests. What channel cats lack in good looks, they make up for in abundance and raw muscle. Pound for pound I’ve never fought any fish in fresh water that pulls harder than a channel catfish. A fisherman might imagine that because cats fight like bull dogs they would have at least a modest list of admirers. Nope, catfish will have to be content with being “bench warmers” in the dugout of life. It appears that I might be the only angler who publicly admires the channel catfish. Admittedly these fish are long on slime and short on rugged good looks. What I like most about these catfish is they live in rivers and they are not shy about slurping up leadhead jigs. Everyone thinks of me as troller because I’m so deeply involved with the Precision Trolling Data apps and have worked for trolling companies like Off Shore Tackle most of my life. The truth is, I love all kinds of fishing and jigging is right at the top of my “personal favorites” list. Every year since Jake was old enough to share my passion for fishing, we have traveled to the Saginaw River in May/June to target the seemingly endless supply of channel catfish the lower river attracts. During late spring these fish are spawning and hordes of fish from nearby Saginaw Bay pile into the river in mind boggling numbers. The rest of the year you can still catch all the channel cats you want in the Saginaw River. You see, cats love slow moving rivers with lots of forage species to pick from including alewives, gizzard shad, emerald shiners, crayfish and young of the year sheepshead. All of these critters and more are abundant in the Saginaw River. The lower Grand River and the St. Joe River are also channel catfish hot spots in Michigan. Saginaw River from early May through summer. Cats are level one predators who obviously love to eat fish. Ironically, my favorite bait for targeting cats is half a night crawler threaded onto a leadhead jig. I’m not sure that cats naturally eat a lot of night crawlers but I’m here to tell you if you put one on a hook and drop it to the bottom of the Saginaw River, a catfish will eat it. Over the years I’ve become a pretty good jig fisherman and much of that skill set has come from catching countless “non-target” species like cats, sheepshead, white bass, etc. I always tell people that to get good at anything requires practice and the best way to become a good jig fisherman is to spend lots of time on the water. Because our spring walleye runs are brutally short, the most practical way to refine your jig fishing skills is to spend time targeting those fish other anglers work at avoiding. 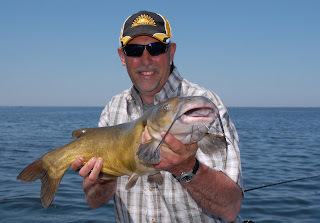 At the top of my hit parade are channel cats because they stick close to the bottom like walleye, they bite with similar aggression to the walleye and the rods, reels and fishing lines I normally use for walleye fishing are perfectly matched to targeting cats. The truth to all this is that when it comes to fishing, I like catching fish and it’s not always easy to accomplish that goal with the glamour species like walleye, smallmouth and the like. Honing my personal jigging skills on unsuspecting catfish, makes it easier for me to get even when I do have the opportunity to jig up a few walleye. The gear is super simple. 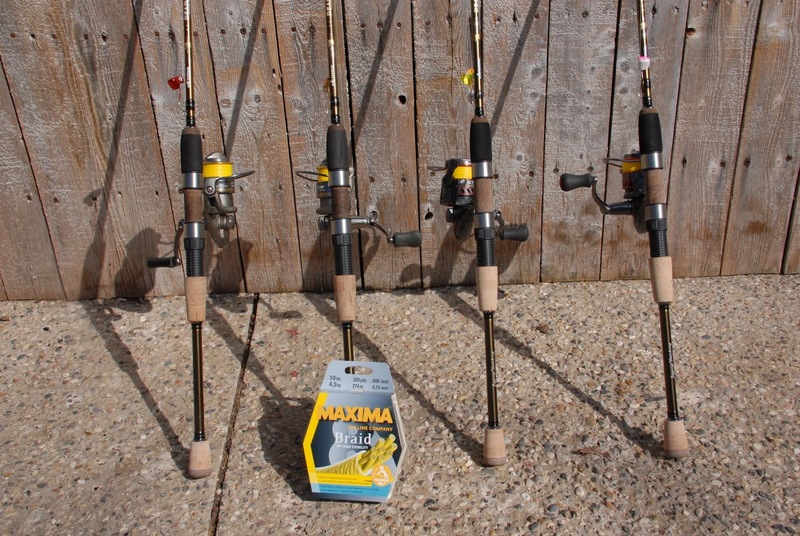 I use a six to six foot, six inch medium/light action graphite rod, married to a 25 series spinning reel, 10 pound test Maxima Braid 8 line terminated to a 24 inch leader of 12 pound test Maxima fluorocarbon line. At the terminal end a 1/4 to 3/8 ounce jig and half a nightcrawler. 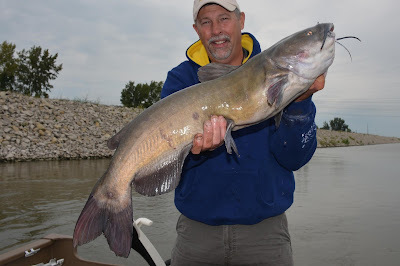 walleye are ideal for targeting channel catfish. 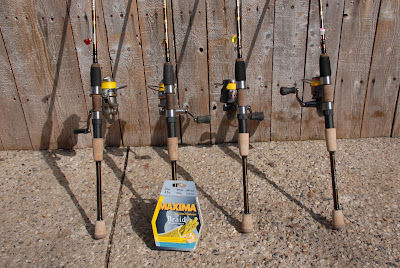 That set up produces more catfish (and occasionally walleye) than a guy could want. So the next time you’re bored and want to catch a lot of fish, try a visit to the lower Saginaw River and take along a half a flat of nightcrawlers. You’re going to need them.